The conviction of police officer Jason Van Dyke of second-degree murder and 16 counts of aggravated battery in the fatal shooting of Laquan McDonald has generated divided opinions among police officers. While some view Van Dyke as acting within his rights as a police officer faced with an armed and potentially dangerous suspect, others say he was too quick to use deadly force. We discuss that divide with three former police officers: Brian Warner, a former Chicago police officer and the founder of Chicago Police Survivors, a group of current and retired officers who have survived traumatic incidents; Mike Brown, a former south suburban police officer and owner of a security and firearms training agency; and Kimberly Marshall, a former Chicago police officer who earlier this year completed a psychology degree and hopes to work in the field of mental health. What were your thoughts on the Van Dyke verdict? Brian Warner: My heart dropped. I know there are things you miss watching it on TV as opposed to being in the courtroom, but everything that I saw and heard by all of the witnesses on the defense and the prosecution and the closing argument, I could not in good conscience – as law enforcement and as a citizen of Chicago – I could not understand how they were going to find a guilty verdict here. What matters is he is trained law enforcement. His job gives him the authority to take action here and his training forces him to take action as well. He acted within the parameters of his training and the color of the law. This is a fleeing felon. Laquan McDonald is not just some kid strolling down the street. He’s shown he’s going to use his knife, he’s stabbed a squad car tire. He’s threatened the man at the truck yard. He’s a dangerous felon and that is what people keep forgetting. Mike Brown: I was one of the ones that believed that the use of force in that particular case alone was not justified. The state did not prove Jason Van Dyke guilty beyond a reasonable doubt (of first-degree murder). I do believe that the verdict of second-degree murder is appropriate. I do find it puzzling though that he was charged 16 times with battery with a firearm given that I’ve investigated cases and know partners who have investigated cases where the multiple times a person is shot is under the one charge of aggravated battery. Kimberly Marshall: I was very relieved. I knew how up in arms everyone in the city was about it. The people who I talked to weren’t expecting a just or a fair verdict. There was a big question whether justice or the proper verdict would come forth. For many, many people it was the right verdict. I happen to agree with the verdict. 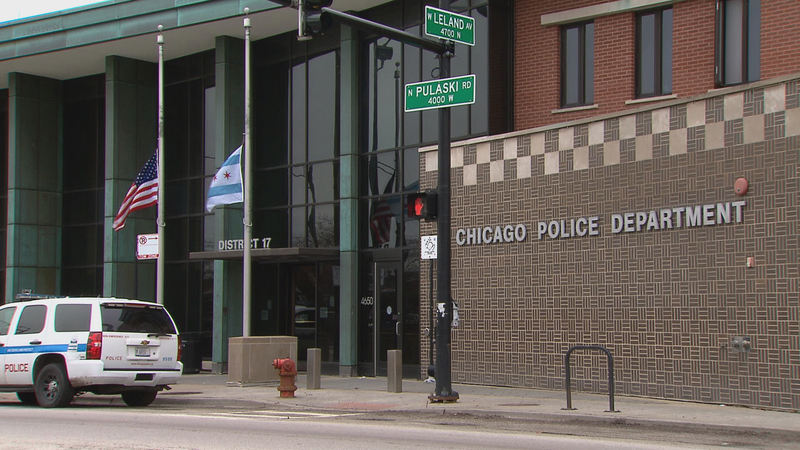 Do you think the Van Dyke conviction will change the way police officers within Chicago and perhaps beyond Chicago will approach policing? The officers cannot be thinking about those things. They have to think about protecting their lives and the citizens’ lives and that’s a difficult enough task let alone putting all of this other crap on them. Brown: It depends on how you look at it. I don’t think it’s going to change a lot. I think there is going to be some change. I do believe that a lot of the officers who feel that Van Dyke was wrong can’t speak on it. The majority of the officers that go out there try to do a very good job … nobody wants to be vilified in the media for doing a job they thought was right but the public hold a different opinion about. Marshall: No. I don’t think it will have an effect on how police officers police in the city. What I think it will have an effect on is their decision to pull their gun out and shoot someone … I think that Van Dyke’s choice was a bad one. I don’t think officers should use deadly force unless it’s the absolute last resort.